This is the fourth consecutive year that the Lumberjacks cross country team has had at least one Academic All-American. 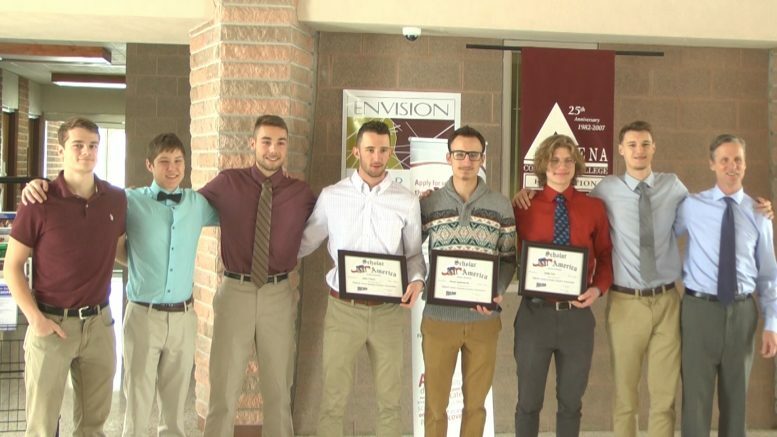 Alpena, Mich — Dullen Toth, Aidan Francis, and Mason Kaniszewski were all recognized as Academic All-Americans during a ceremony at Alpena Community College Wednesday afternoon. This is the fourth year in a row that the cross country team has had an Academic All-American. Head Coach Mark Jacobs made it clear that this is the goal at the start of every season. He appreciates the way that his runners hold each other accountable for their academics in season.